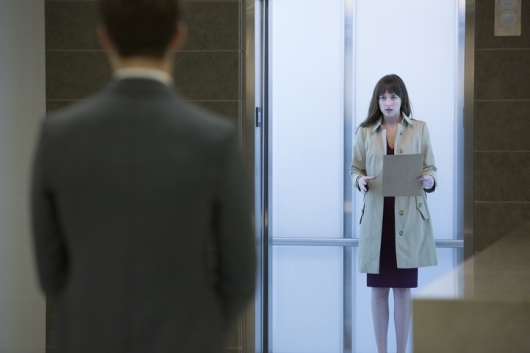 Production problems on Fifty Shades of Grey between director Sam Taylor-Johnson and author E.L. James are well-known. While the director was excited to announce that there was going to be sequel with the returning lead stars, Jamie Dornan and Dakota Johnson, many speculated that the ongoing disagreements would have an effect on her return. Now we are getting confirmation that the first sequel, Fifty Shades Darker, will need a new director as Taylor-Johnson has revealed that she will not be returning for to the franchise. Of course a novel series like Fifty Shades of Grey with a huge fanbase would get a big-screen adaptation, and despite the production problems – casting, chemistry between leads Jamie Dornan and Dakota Johnson, the disagreements between director Sam Taylor-Johnson and series author E.L. James – the film was the top earner at the box office, and was one of the highest grossing R-rated movies in the month of February, even though it was widely panned by critics for those same chemistry issues and a very weak script. It’s highly unlikely that Taylor-Johnson would want to endure another six months of harping from James over the script and vision, which is probably why she hasn’t stepped up to say she is on board for 50 Shades Darker. Now, with word that James wants to write the script for the Fifty Shades sequel, the director is already out the door. Hit the jump for more. Like it or not, the Fifty Shades Of Grey movie is happening. One of the more difficult novels to adapt because of its highly sexualized content, Sam Taylor-Johnson‘s adaptation of the popular first novel in E.L. James’ erotica trilogy opens this weekend, Insiders are saying that the film is already $60 million in advance at the box office, and early ticket sales are showing that it is one of the fastest-selling R-rated movies on online ticket sites like Fandango. Sure the first Fifty Shades has yet to open and prove itself at the box office, but because of those early ticket sales and favorable projections, Universal has already greenlit the big-screen adaptations of the sequels Fifty Shades Darker and Fifty Shades Freed. Hit the jump for more.